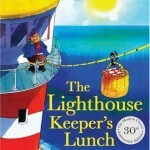 I loved The Lighthouse Keeper stories when I was younger and now my daughter is enjoying them too. 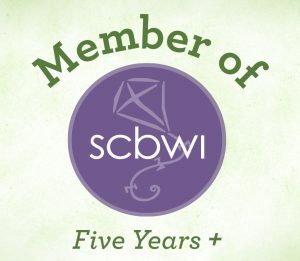 We visited our first lighthouse last summer and we love the idea of living in a lighthouse. The Story: Every day Mr Grinling, the lighthouse keeper, rows out to his lighthouse to clean the light. Every day Mrs Grinling packs a lunch basket for him which she sends on a wire from their cottage across to the lighthouse. One day Mr Grinling’s lunch doesn’t arrive as a group of greedy seagulls have eaten it. Mrs Grinling unsuccessfully tries various strategies to stop the seagulls eating his lunch but finally her mustard sandwiches deter the seagulls who then start stealing from an unsuspecting fisherman. The Lighthouse Keeper’s Lunch was first published in 1977 so it has been read by several generations of children (I was probably one of the first!). My daughter is fascinated by the lighthouse in the story as it is similar to the one near to where we spend family holidays. She finds it very funny when Mrs Grinling puts Hamish, the cat, in the picnic basket to deter the seagulls and says yuck in a loud voice when the mustard sandwiches are mentioned. I find the dialogue between the seagulls amusing, especially when they tease Hamish (Hamish isn’t the threat to the seagulls that Mrs Grinling hopes he will be!). Although the text is easy to read, some of the vocabulary is quite complex (e.g industrious, concocting, varmints, baffle, brazen, ingenious) which has stimulated some interesting questions about meaning (and makes me think when I’m giving explanations!). David Armitage uses quite dark colours for his illustrations which work well for his atmospheric sea scenes. My daughter thinks that Mr and Mrs Grinling ‘aren’t very pretty’ but Mr Grinling, in particular, has some fantastic facial expressions, especially when he’s cross! 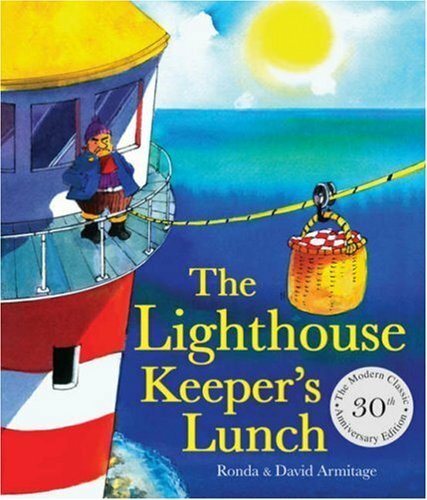 I have often used The Lighthouse Keeper’s Lunch as part of sea and food themes in the classroom. Younger children have drawn their own pictures of Mr Grinling’s lunch which has stimulated discussions about healthy eating and older children have made their own sandwiches for a lighthouse keeper. We’ve also made lighthouses, painted pictures of lighthouses and discussed how to stop the seagulls stealing the food. I have made class books and wall displays and children have also written letters to Mr Grinling to suggest solutions to his problems. 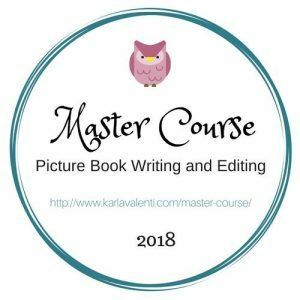 You can buy an audio version of The Lighthouse Keeper’s Lunch and several other Lighthouse Keeper stories have also been published. looks like a great read Catherine. I have to put this one on my list.